What an incredible find! 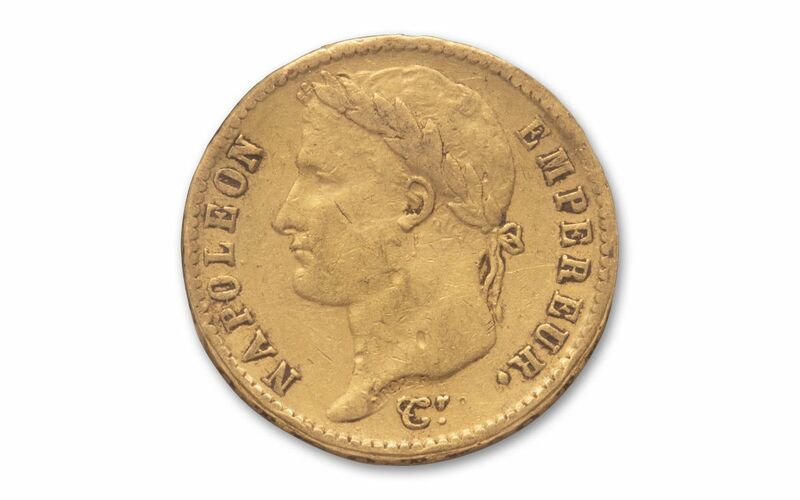 Napoleon Bonaparte 20 Francs are extremely difficult to come by today -- especially in higher-graded conditions. 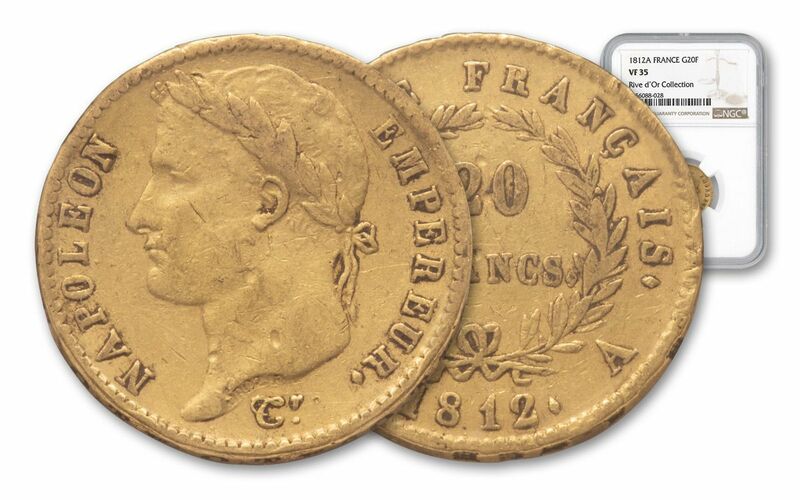 Fortunately, our buyers have located a number of these gorgeous gold coins minted at the height of his empire! 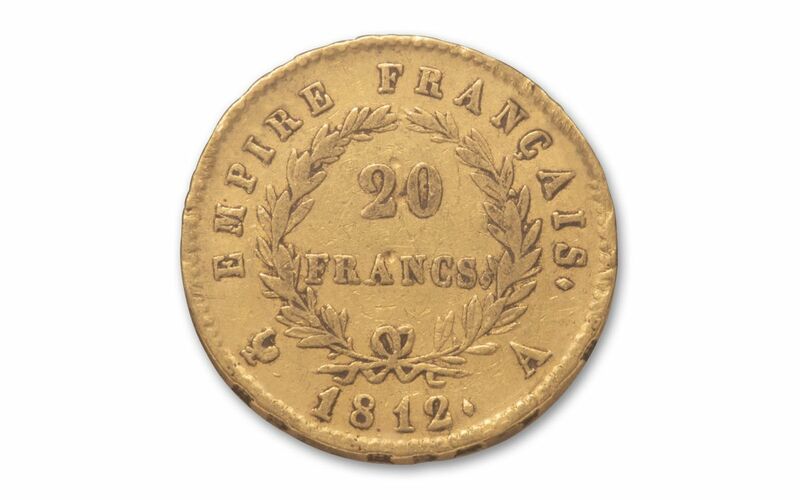 Dated 1812 and minted in Paris, these coins were struck in the same year as Napoleon's disastrous invasion of Russia -- a move that led directly to his downfall. 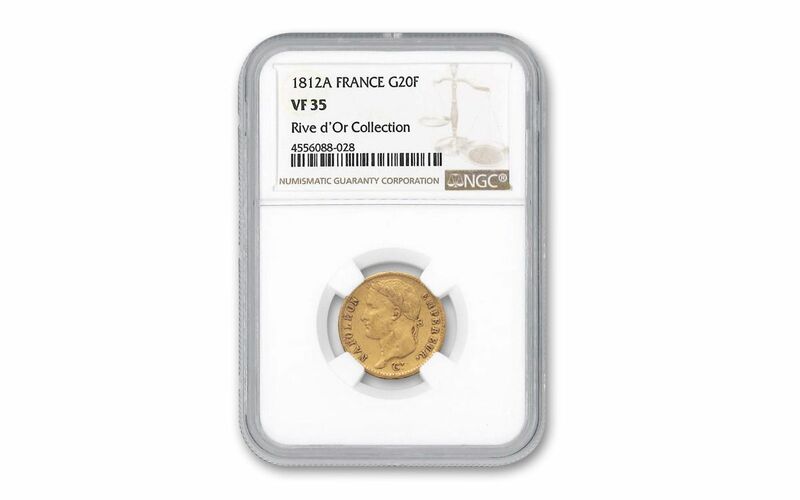 Each of these 20 Francs coins contains .1867 ounces of gold and comes graded as Very Fine-35 (VF35) condition by Numismatic Guaranty Corporation (NGC), certified as coming straight from the famous Rive d'Or Hoard.